is a Berlin based artist, researcher, and teacher in the field of contemporary dance and performance. She works internationally as soloist and in collaborative settings. Her artistic practice and research focuses on improvisation, contact improvisation, narrations of the aging body, humor and irony in dance, artistic research methods, and improvisation-based approaches to learning, knowledge production and knowledge dissemination. 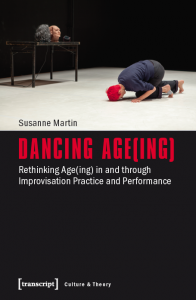 Her book Dancing Age(ing): Rethinking Age(ing) in and through Improvisation Practice and Performance has been published by transcript in 2017. She currently holds a postdoc position at École Polytechnique Fédérale de Lausanne in Switzerland.